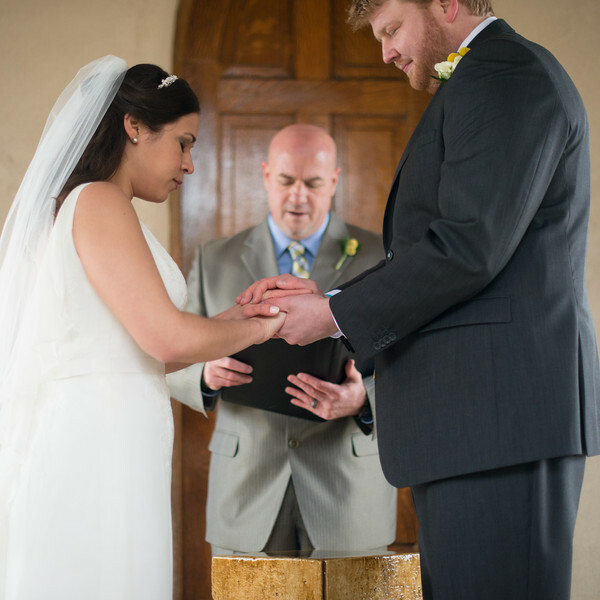 As an ordained minister, Stephen Simmons understands the importance and sacredness wedding prayers and blessings can add to your ceremony, acknowledging the holiness of the union and including the Divine in your special day adds a reverent touch. Below you will find several prayer and blessing options, you can provide me with a selection of your choice, or we can offer a personalized prayer for your wedding. 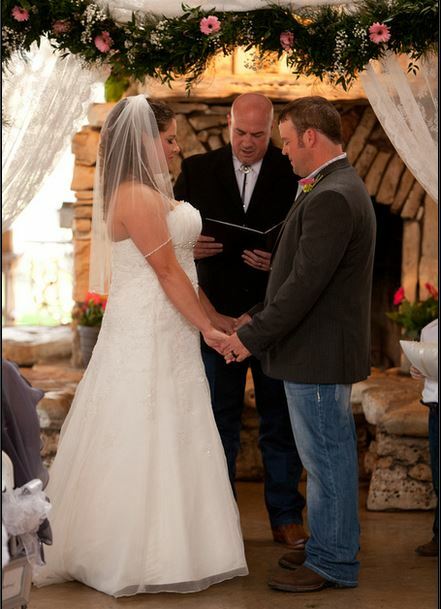 Heavenly Father, grant I pray that (husband) and (wife) may have a true and understanding love for each other. Grant them both with faith and trust. Give them the grace to live with each other in peace and harmony. May they always bear with one another’s weaknesses and grow from each others strengths. Help them to forgive one another’s failings, and grant them patience, kindness, cheerfulness and the spirit of placing the well-being of one another ahead of self. May the love that brought them together grow and mature with each passing year. Bring them both ever closer to You through their love for each other. Let their love grow to perfection. Amen. Dear Lord Jesus, thank you for this beautiful day. You have fulfilled the desire of groom and brides hearts to be together in this life. We pray that your blessing will always rest upon groom & brides home; that Your joy, peace and contentment would dwell within them as they live together in unity, and that all who enter their home may experience the strength of your love. Father, help them to follow and serve you with an ever growing commitment because of their union. Guide them into greater love and sacrifice as they care for each others needs, knowing you will care for them. May their devotion in marriage be a radiant reflection of your love for them. In the name of Jesus, our Savior, I pray. Amen. Hand in hand, we come before you Lord. As we step out in faith, we ask You to take this couple into Your hands. Help them, Lord, to keep firm in the commitments they are making. Guide them as they become a family, as they each change through the years. Strengthen their commitment to You and each other in Jesus name I pray. Amen. May you each bring your best self to the other. May you each bring commitment as well as faith to the task that is set before you. May you maintain enduring respect and trust. May all who follow your lives have cause often to rejoice, not only in your happiness, but also in your brave and generous living. May you each be shelter to the other, may you be warmth to the other. May there be no more loneliness, for each of you will be companion to the other. Now you are two bodies, but there is one life before you. And may your days be good and long upon the earth. Most gracious God, we thank You, for consecrating the union of this man and this woman in Your Name. Pour out the abundance of Your blessing upon this couple. Defend them from every enemy, lead them into all peace, let their love for each other be a seal upon their hearts. Bless them in their work and in their companionship; in their sleeping and in their waking; in their joys and in their sorrows; in their life and in their marriage. Amen. Heavenly Father, behold our family here, we thank you for this day, and for the love that unites us, for the peace given to us, for the joy we are experiencing, for the health, the work, the life, and the future we get to enjoy; for our friends and family that are rejoicing with us. Amen. Lord help us to remember when we first met, and the strong love that grew between us. Help us to work that love into practical things so that nothing can divide us. We ask for kind and loving words and hearts always ready to ask forgiveness, as well as to forgive. Dear Lord, we put our marriage into your hands. Old English Blessing – May your joys be as bright as the morning, your years of happiness as numerous as the stars in the heavens, and your troubles but shadows that fade in the sunlight of love. We thank You God for the love You have implanted in our hearts. May it always inspire us to be kind in our words, considerate of feelings, and concerned for each others needs and wishes. Heavenly Father, help groom and bride to be understanding and forgiving of human weaknesses and failings. Increase their faith and trust in You and may You guide their life and love. Bless this marriage with peace and happiness, and make their love beautiful for Your glory. Amen. 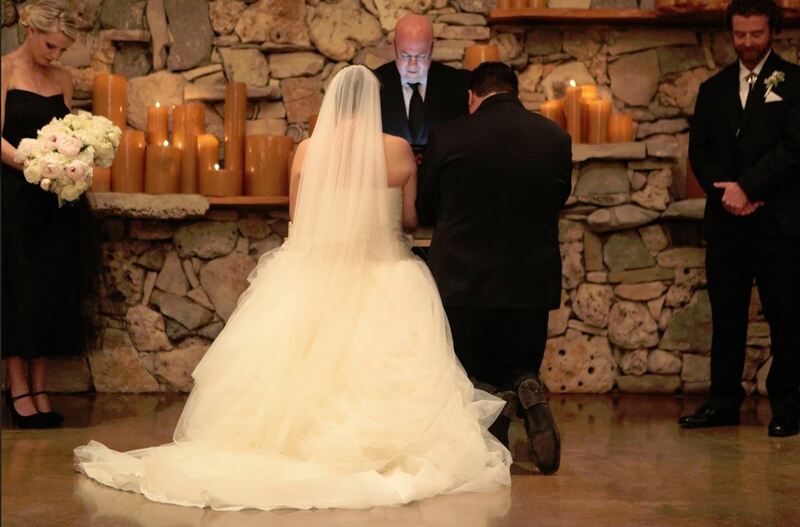 Catholic Wedding Prayer – Father, you have made the bond of marriage a holy mystery, a symbol of Christ’s love for his Church. Hear our prayer for groom and bride. With faith in you and in each other they pledge their love today. May their lives always bear witness to the reality of that love. We ask this through our Lord Jesus Christ, your Son, who lives and reigns with you and the Holy Spirit, one God, for ever and ever. Amen. May the love of God be above you to overshadow you, beneath you to uphold you, before you to guide you, behind you to protect you, close beside you and within you to make you able for all things, and to reward your faithfulness with the joy and peace which the world cannot give neither can it take away. Amen. Irish Wedding Blessing – May God give you…for every storm, a rainbow; for every tear, a smile; for every care, a promise, and a blessing in each trial. For every problem life sends, a faithful friend to share; for every sigh, a sweet song, and an answer for each prayer. In joining your lives may God grant you both…Love… to afford each other a special quality of time together. Joy…in the accomplishments of one another. Understanding…that your interests and desires will not always be the same. Friendship…based on mutual trust. Courage…to speak of a misunderstanding and to work on a solution before the setting of the sun. Compassion…to comfort each other in pain and sorrow. Foresight…to realize rainbows follow rainy days. Awareness…to live each day with the knowledge that there is no promise of tomorrow. May God bless you and keep you in the Palm of His hand. Lord, our hearts are filled with great happiness on this wedding day. They come before You pledging their hearts and lives to one another. Grant that they may be ever true and loving, living together is such a way as to bring happiness to the marriage. Temper their hearts with kindness and understanding, rid them of all pretense of jealousy. Help them to remember to be each other’\s’ sweetheart, helpmate, friend and guide, so that together they may meet the cares and problems of life more bravely. And with the passage of time, may the home they are creating today, truly be a place of love and harmony, where your spirit is ever present. Bless this union we pray, and walk beside Bride and Grom throughout all their lives together. Keep us, Lord, from pettiness. Let us be always thoughtful in word and deed. Help us to put away pretense, and face each other in deep trust without fear or self-pity. Help us to guard against faultfinding, and be quick to discover the best in each other and in every situation. Guard us from ill temper and hasty judgments: Encourage us to take time for all things, to grow calm, serene and gentle. Help us to be generous with kind words and compliments. Teach us never to ignore, never to hurt, never to take each other for granted. Engrave charity and compassion on our hearts through Christ our Lord. Amen. Bless this marriage Father, as groom and bride begin their journey down the road of life together. We don’t know what lies ahead for the road turns and bends. But help them to make the best of whatever comes their way. Help them to continue to enjoy each other as they did when they first met. Help them to realize that nothing nor no one is perfect and to look for the good in all things and all people including themselves. Help them to respect each others’ likes and dislikes, opinions and beliefs, hopes and dreams and fears even though they may not always understand them. Help them to learn from each other and to help each other to grow mentally, emotionally, and spiritually. Help them to realize that no matter what happens to them they will hold on to each other and know that things have a way of working out for the good. Heavenly Father, we acknowledge Your blessing upon this marriage and we give thanks that Your spirit is with the Groom and Bride. Bless this beautiful couple in all their days to come with a joyous life, deep love, bless them with peace and wisdom that they will need to fulfill their promises made here today. May all who follow their lives have cause often to rejoice, not only in their happiness, but also in their brave and generous living. We commit this marriage into Your hands. Amen. Father God, I pray a blessing on Groom and Bride. Thank you for directing their paths toward each other. May their lives be examples of true love and commitment. Give each of them the heart of a servant, keeping the others’ needs ahead of their own; in this way, both are satisfied. May their communication be always clear and direct, speaking the truth in love. May they always trust the other with their safety and protection, may that trust become increasingly solidified throughout their days. May peace that surpasses all understanding guard their hearts and minds in Christ Jesus I pray. Amen. Heavenly Father, thank you for the gift of marriage, for all the joy and love that it brings us. We thank you for Groom and Bride. Thank you that you have brought them together for this special day, and that you hold them safely in Your hands. We pray that you would richly bless them as they exchange their vows and their wedding rings, and from this day forward they would walk hand in hand into everything that you have destined them to be. We give our hearts and beings to You now in adoration, and welcome Your Holy Spirit among us. Amen.